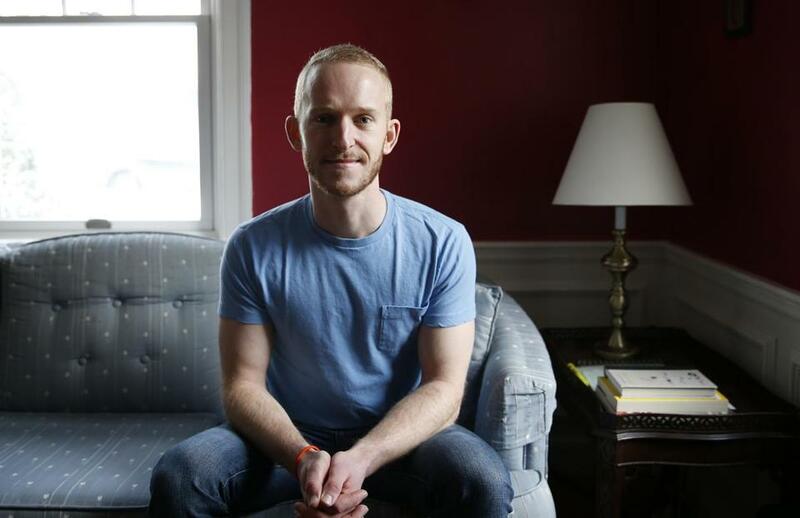 Mike Garland, who grew up in Wellesley, was a shy boy. His personality was essentially the polar opposite of his fellow camper Adam London. WELLESLEY — They were young boys in a rustic cabin in the Berkshires, bathed in lantern light, listening to ghost stories, singing silly summer camp songs, and forging a friendship that seemed on those sultry nights like it might last forever. Adam London and Mike Garland couldn’t have been more different. Adam, a Newton kid, was loud and gregarious, at the center of a large group of friends pulled in by the gravitational force of his magnetic personality. Mike, who grew up in Wellesley, was a shy boy. He was short and he was small. He largely kept to himself, a confirmed introvert. His personality was essentially the polar opposite of his fellow camper Adam London. They were 12 years old during that summer nearly 13 years ago. It seems now like a lifetime ago. In fact, that’s exactly what it turned out to be. Something happened that summer of 2006 — something small, a sweet moment — that Mike Garland has never forgotten. And when his old friend Adam London was killed in a one-car crash during the summer of 2010, speeding down a wet and windy road in Newton, he remembered that moment, holding it close. Then, a few months ago, he sent a note to Adam’s family that they now cherish. Garland’s note invokes the camp song “Amici,’’ a traditional song at Camp Becket, whose lyrics punctuate talent shows and campfires with soaring images of friendship, service, and love. A small moment. A transitory gesture. A simple act of friendship. After Adam London’s death, his parents were determined that his life would have an effect, that it would make a difference. Howard London, a former provost at Bridgewater State University, and Adam’s mother, Barbara Spivak, a Watertown physician and administrator, became evangelists for safe driving. They began asking Adam’s friends and young drivers everywhere to sign a pledge in honor of their son’s memory. A pledge to always wear a seat belt. A pledge against drinking and driving. A promise to put down the cellphone and to stop friends from veering toward wrong and sometimes deadly decisions. They ask students to keep the pledge somewhere they’ll see it every day. Their sock drawer. Next to their underwear. The goal? Save at least one life. Thousands have taken that pledge. But her son did pay attention to some important little things. Small acts of kindness. A simple gesture of friendship. There was sensitivity beneath the bravado. “When you can no longer have any new memories, those memories and these things that happened that you didn’t know about become incredibly important to you,’’ she said. They’re incredibly important to Mike Garland, too. A graduate of Elon University in North Carolina, he works now as a Web developer and designer for a Dallas-based company. He’s 26 with deep blue eyes and closely cropped strawberry blond hair. 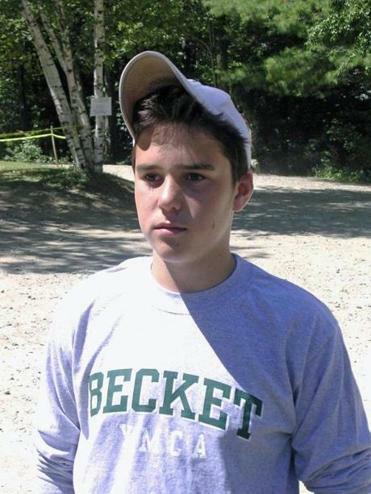 He smiles easily when he remembers those summer nights with a friend he’ll never forget from Camp Becket. “I think it’s a small thing that he did,’’ Garland told me. “It’s something that I still think about. Whenever I think about Adam, I think he’s one of the first people that I consider a friend who has passed away. For Mike Garland, summer camp has become part of his adult life, too. He became a counselor and last year led a youth travel group at the camp. His recollection of a friendship forged in a mountain camp has become a treasured gift to his old friend’s family. “When I read Mike’s message I thought of Adam and his sense of bravado and yet his awareness of someone else’s frailty and shyness,’’ Barbara Spivak said. “On the outside, you might not have expected someone like Adam to be that sensitive. And yet he was very sensitive. He made a difference in Mike’s life. It had an impact on Mike. What if we all lived our lives with such awareness and kindness? Yes. A poignant story born in the Berkshires. The story of a simple gesture on a summer night in the mountains that now lives forever in heart of a little boy who held it close as he grew into a young man.